A year-long stand-off between the founders and the management culminated in the sudden resignation of CEO Vishal Sikka on August 18. Infosys' ex-CFO V Balakrishnan has said the company's new chairman Nandan Nilekani should continue his stint for 2-3 years to chart out a proper succession plan and ensure that efforts of the company to be professionally-managed do not "fail again". Mr Balakrishnan, who has been one of the most vocal critics flagging alleged erosion in corporate governance standards at Infosys, also stuck to his demand that co-chair-turned-independent director Ravi Venkatesan step down from the board. "...it was a big experiment that happened in 2014 with professional board handling the company, CEO replacing the founders but because the Board has not functioned well, that experiment failed. So the experiment should not fail again," he told news agency Press Trust of India. Mr Balakrishnan added that Mr Nilekani should focus on getting a good chairman "whenever he leaves in the future" to ensure that the "Board is in safe hands". "I think for 2-3 years he should be there because he has several things to do...Board recast, get a CEO, handhold him for sometime and create succession plan for chairman post. The (earlier) Board was weak, it was not able to communicate well... the Board was a big let-down," he said. It has been two weeks packed with action and escalated tension for India's second largest software firm. A year-long stand-off between the founders and the management culminated in the sudden resignation of CEO Vishal Sikka as well as that of chairman R Seshasayee and two other board members. The developments also saw co-chair Ravi Venkatesan moving to the role of independent director and co-founder and Aadhaar architect Nandan Nilekani coming in for a second innings at Infosys. "...the first priority for him should be to recast the Board because whatever happened in the past, the position of some of the board members is untenable, like (that of) Ravi," Mr Balakrishnan said. He added that Mr Nilekani will look at all the issues, consult with the stakeholders and "bring everything to conclusion". Mr Balakrishnan said the re-constitution of the board, and having checks and balances in place will create a lot of comfort for the incoming CEO. Asked if the company needed to make its stance clear on the reports of law and audit firms on the Panaya acquisition - which was the bone of contention between the founders and management, Mr Balakrishnan said Infosys should make the investigation reports public. "I think the company should publish it," he said. In the same breath, he added that Mr Nilekani has just taken over and should be given adequate time to look at all the issues, including the Panaya deal. One of the most crucial aspects of Mr Nilekani's task would be to find a CEO for the over $10-billion IT firm. 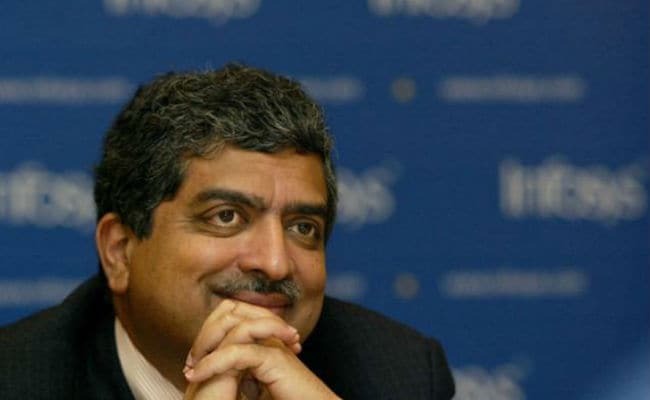 Mr Nilekani has said the company will cast a wide net to look at internal and external candidates, as well as Infosys "alumni", to fill the top position. Asked if he would be interested in taking up the CEO or a Board position at Infosys, Mr Balakrishnan answered in the negative. "No. I left three years back. I am running a venture fund now, I am not interested... There are others... Ashok Vemuri, BG Srinivas, Mohan... Infosys has a large alumni base, all good hands," he said. There have been reports that officials like interim CEO Pravin Rao, CFO Ranganath D Mavinakere, president and deputy COO Ravi Kumar S and BFSI head Mohit Joshi are in fray for the top job. With Infosys now looking at alumni as well, the contenders could include Mohandas Pai (former CFO and HR head), Ashok Vemuri (former Americas head and board member) and B G Srinivas (former president).